Alternative building materials, such as sorghum board, not only give building projects a unique appearance, but they also offer designers a means of constructing more environmentally-friendly furnishings and decor. 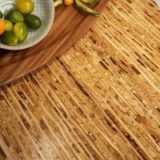 Kirei Board is made of recycled sorghum straw and adhesive bonded together to create a durable, lightweight panel that is ideal for a variety of purposes. 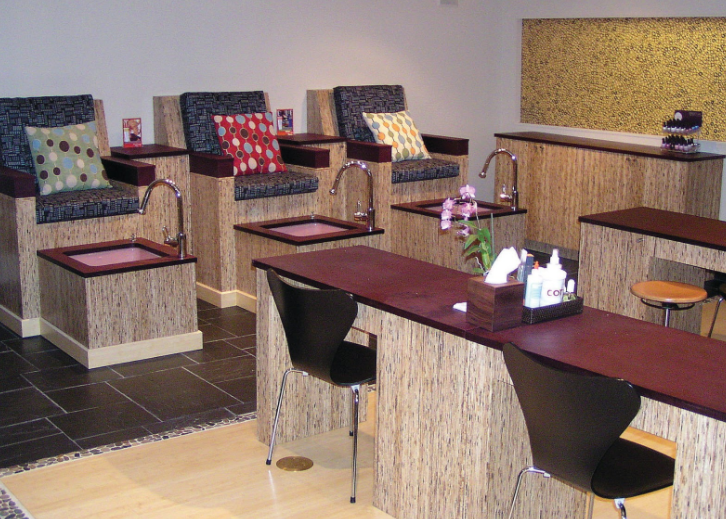 Matching workstations in a setting like a salon, as shown above, gives a professional feeling to the space. Kirei sorghum board comes in four different thicknesses, allowing you to use this material decoratively as a veneer on existing furniture or in the construction of new furniture. The naturally light color of sorghum allows you to apply a variety of finishes. To keep the area feeling open and airy, skip a colored stain and consider simply sealing the board instead. 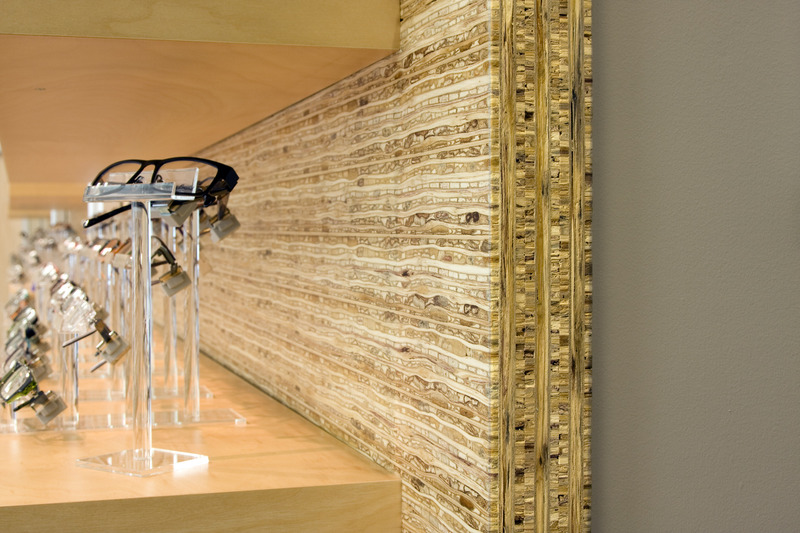 Adding a backdrop behind shelving or cabinet displays can be easy to accomplish and provides a big visual impact. Seen here is a sorghum board backdrop behind a store product display. The natural dimension of Kirei Board adds more texture and interest compared to a bare background. If you want to draw the eye towards a certain area of a room, try this trick. Similar to the idea of a backdrop, for maximum impact, you can simply cover an entire wall in sorghum board. 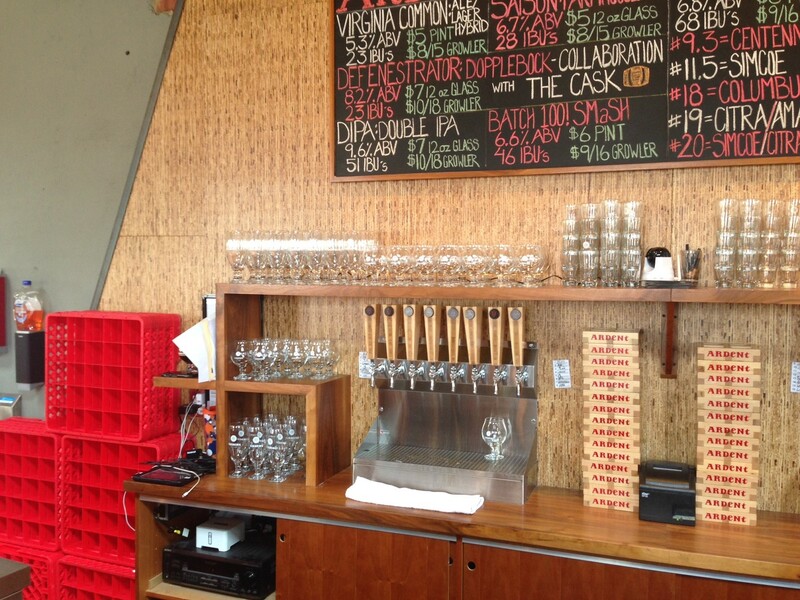 This quaint bar features the main wall covered in Kirei Board, which serves dual purposes of beauty and function. This interior wall adds style to the bar while also making it stand out from the surrounding walls. 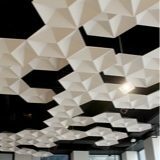 This can provide a great focal point in settings like restaurants, bars and lounges. This bar/lounge has a bit of a tropical theme with various wood accents throughout the interior design. Sorghum board finished in a complementary yellow-toned stain perfectly color matches the rest of the room while still offering contrast due to the grain of the board. An advantage to using Kirei Board is that it can be easily added to existing bars, counters and cabinets making it an extremely versatile surface material. 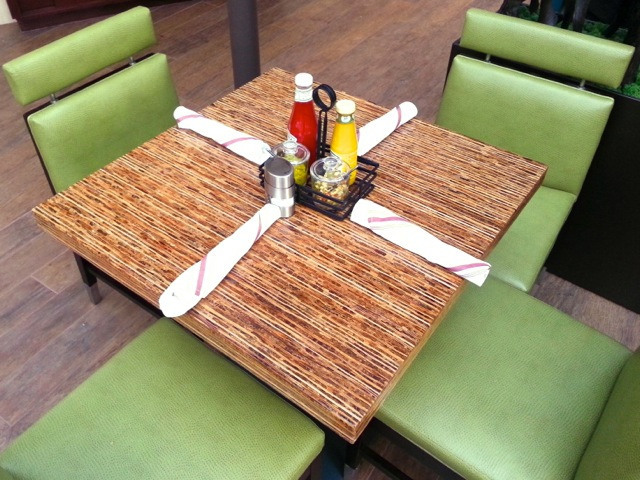 When it comes to interior design in restaurants, there are a variety of table and seating options to choose from. Try thick sorghum tables in place of traditional solid colored tables to add interest and dimension. Kirei Board panels come in thicknesses up to 30mm and panels up to 3' x 6', which makes it easy for application to multiple table sizes. This welcoming reception desk incorporates a touch of sorghum board to warm things up. Kirei Board as a veneer accent was the perfect choice for renovating the dual-level desk. The addition of sorghum board, along with the wavy accent wall in the background, gives a chic and spa-like feel to the lobby. Sorghum board works well in a variety of settings, often blending in perfectly with existing decor themes. 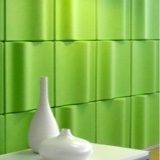 This accent wall is made of different sized sorghum board panels to give the wall dimension. Finishing touches in the form of modern lighting and furniture complete the look of this relaxed area. This same concept would work well for waiting rooms, lobbies, cafes or other intimate spaces. Sorghum board can be filled, sealed, painted, stained and otherwise surface finished just like plywood and other wood products. This means there really are no limits to how creative you can get with the material. An example to maintain the look of sorghum board's grain while increasing its effect is to use a high-gloss finish, shown beautifully in the table above. 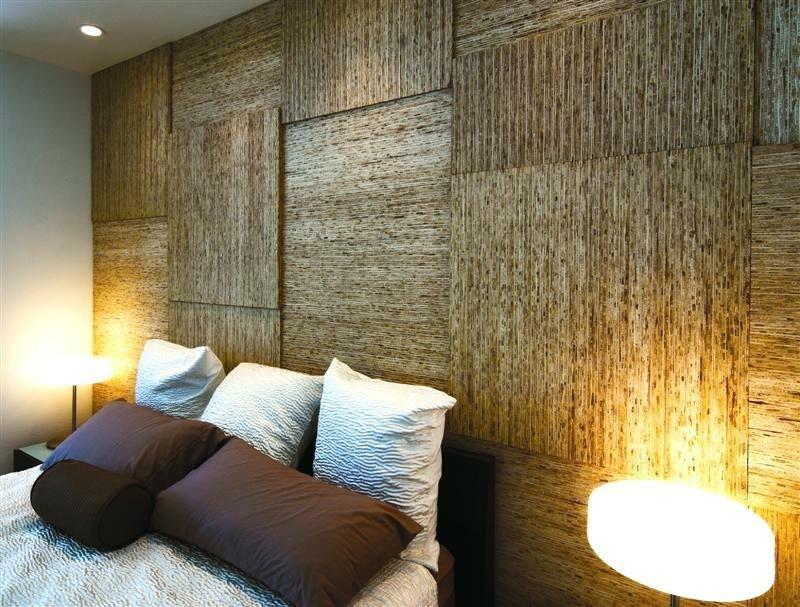 Sorghum board is a highly versatile and natural interior design material that can be utilized in numerous ways. 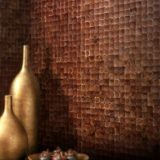 Whether you're designing furniture or looking for a distinctive wall covering, Kirei Board is a great option to consider.